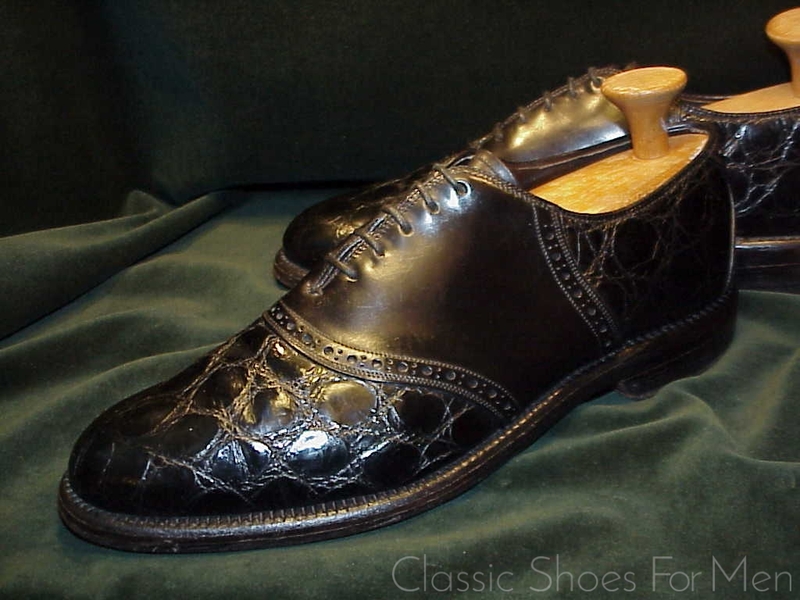 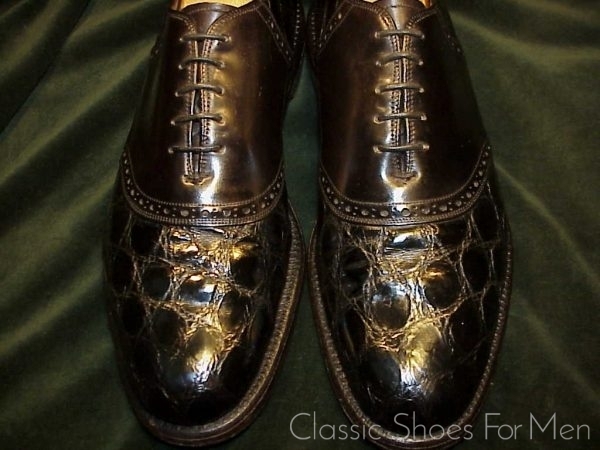 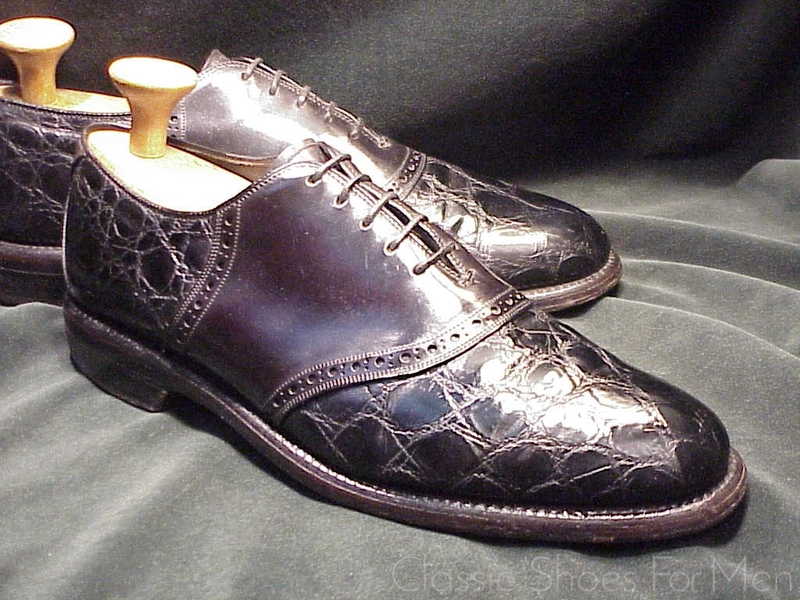 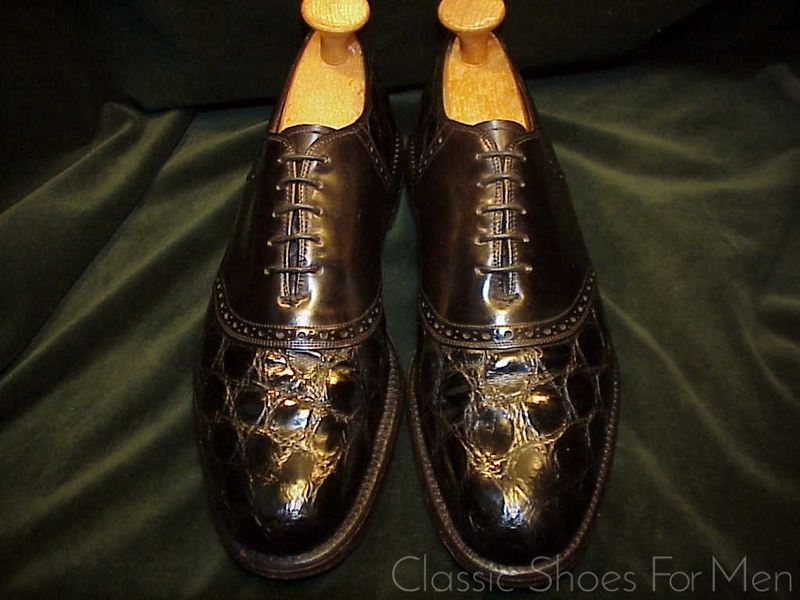 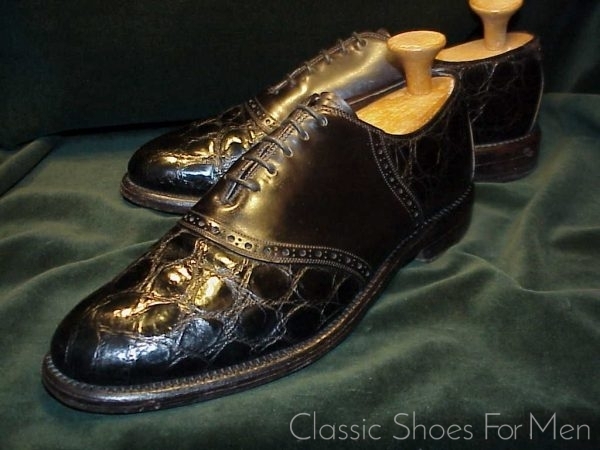 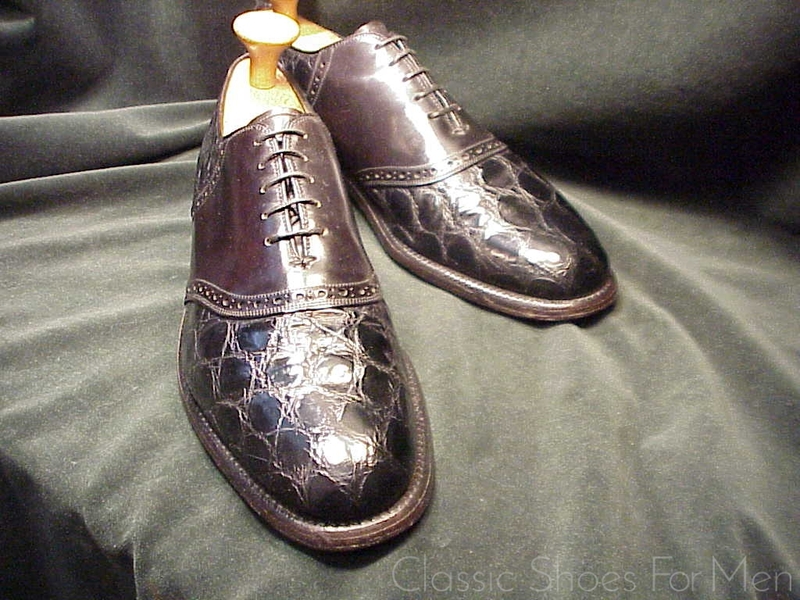 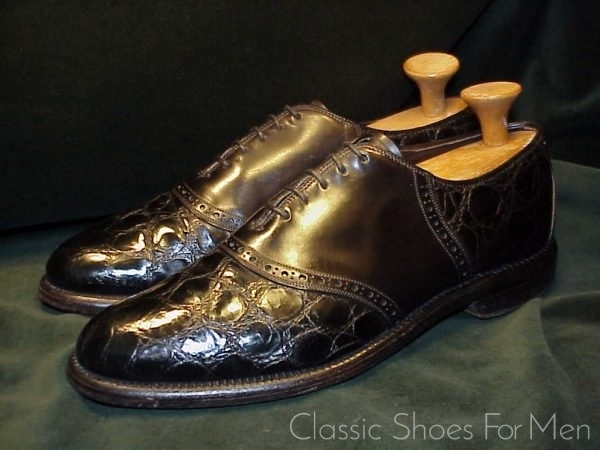 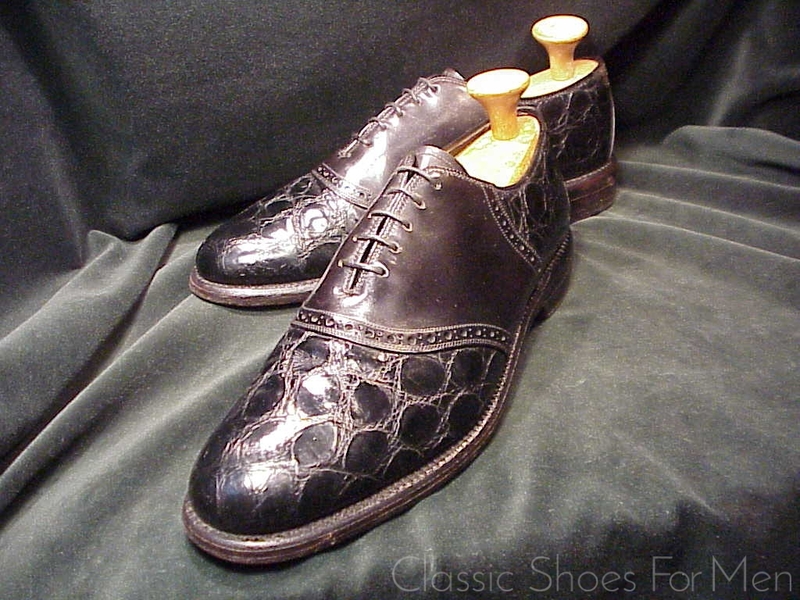 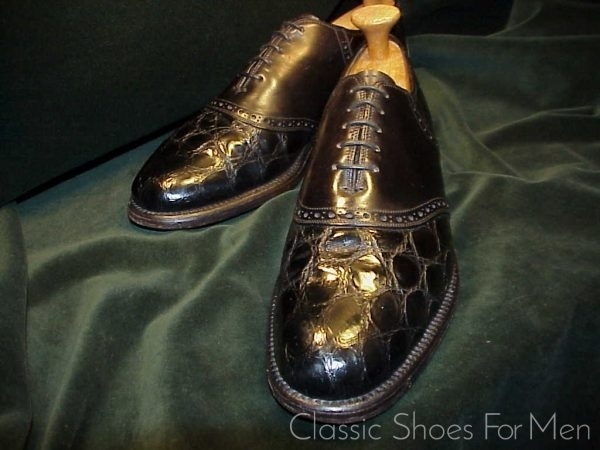 This Alligator Oxford with Shell Cordovan Saddle is of special interest, an infrequently seen and eminently luxurious version of a great classic, the purely American university style from the 1920’s. 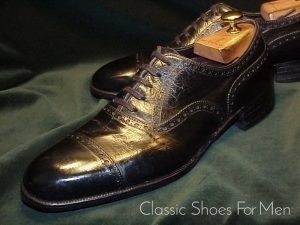 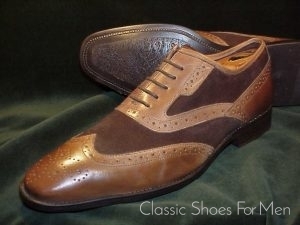 It is fitting that it should come from one of the last American shoemakers still standing! Like all Saddle Oxfords, it (literally) walks the line between a dressy shoe (because of the plain toe) and a sporting shoe (because of the University and Golf traditions behind this model). 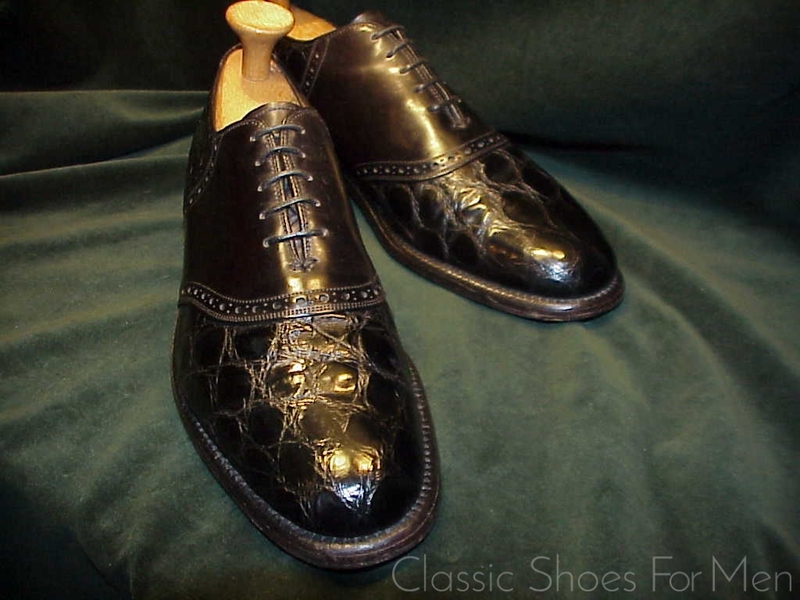 This combination of alligator topped with horsehide raised this otherwise relaxed model to the heights of opulence without the slightest hint ostentation. 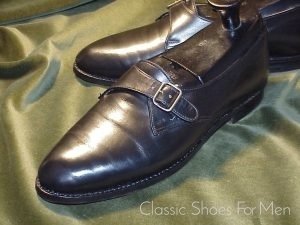 Moreover this is an extremely well-made shoe with a substantial oak-tanned leather sole and hand nailed armoured and cleated heel, Goodyear welted, of course, and beautifully leather lined. A treasure for the advanced collector. 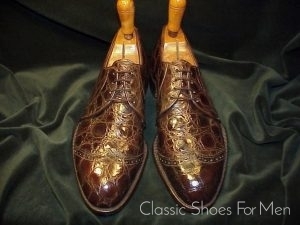 Superb; all original and lightly worn. 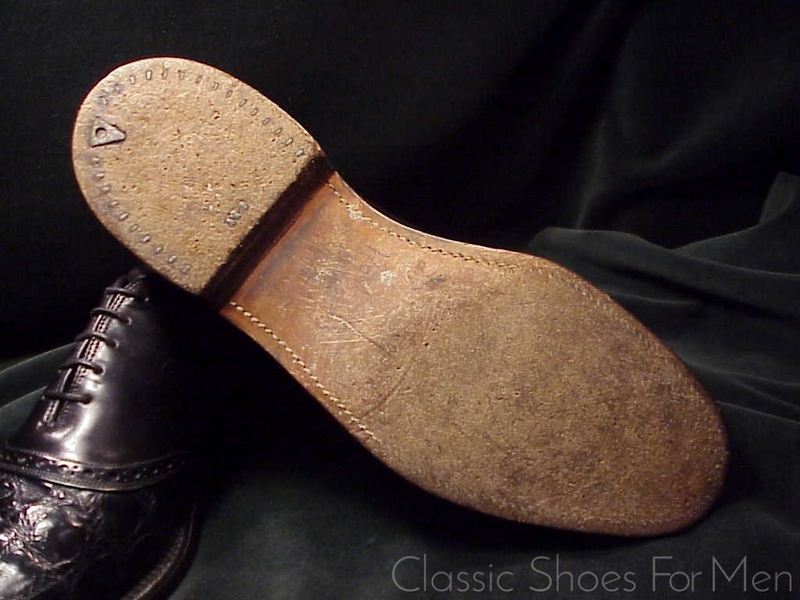 Ein äusserst sportlicher 5-Ösen”Saddle Oxford”, eines von Cole-Haan’s charmantesten Modellen, das man nicht sehr häufig zu sehen bekommt – ein rein amerikanischer Universitäs-Stil aus den 1920ern. 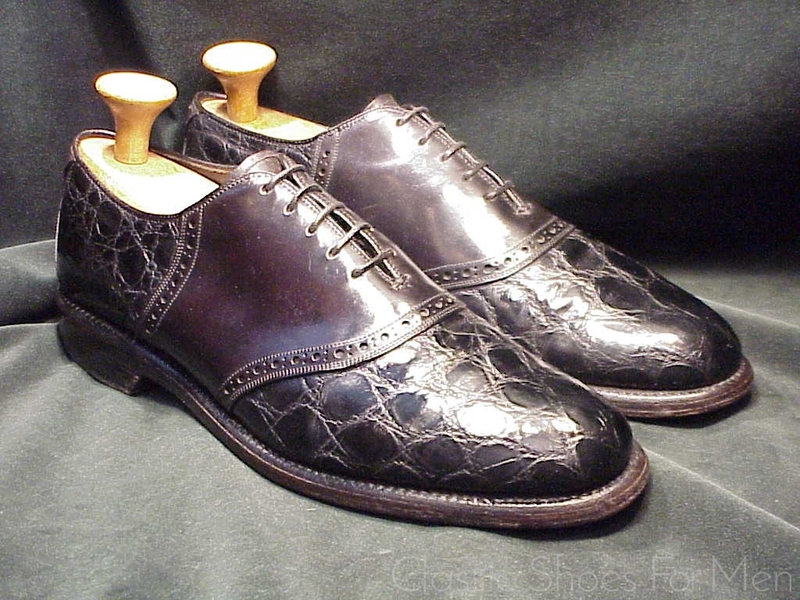 Wie alle Saddle Oxfords beschreitet er (buchstäblich) die schmale Linie zwischen einem eleganten Schuh (vor allem wegen des plain toe) und einem sportlichen Schuh (wegen seiner legendären Universitäts-und Golfsporttradition). 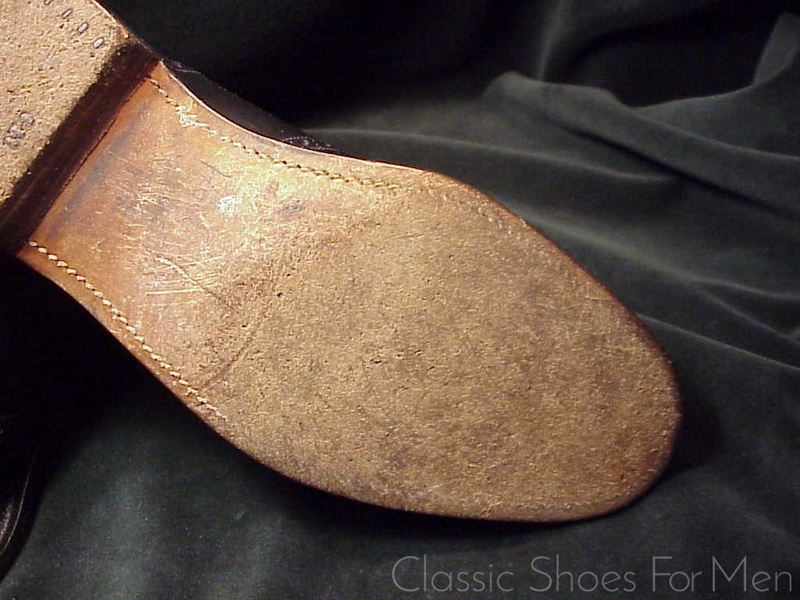 Goodyear welted-rahmengenäht, of course! 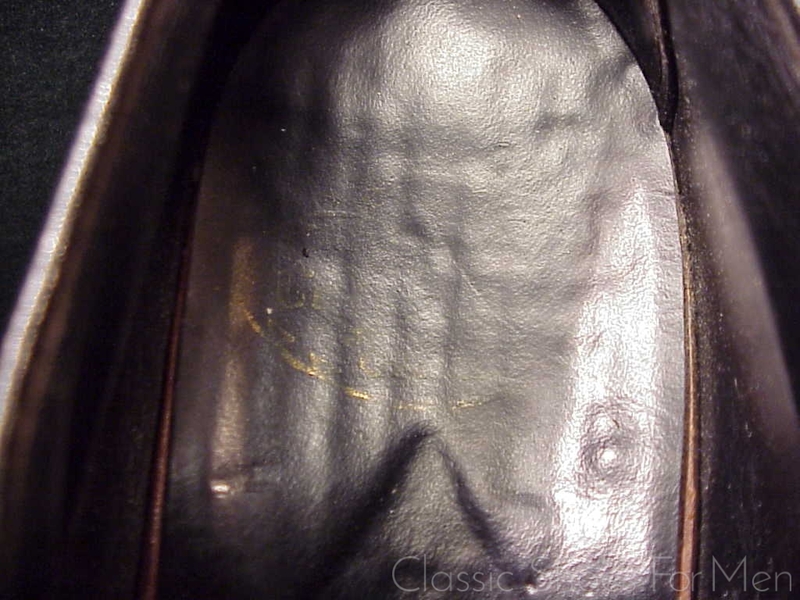 Versand: Käufer zahlt EUR 6,20 Versandkosten als versichertes Paket (innerhalb Deutschlands). 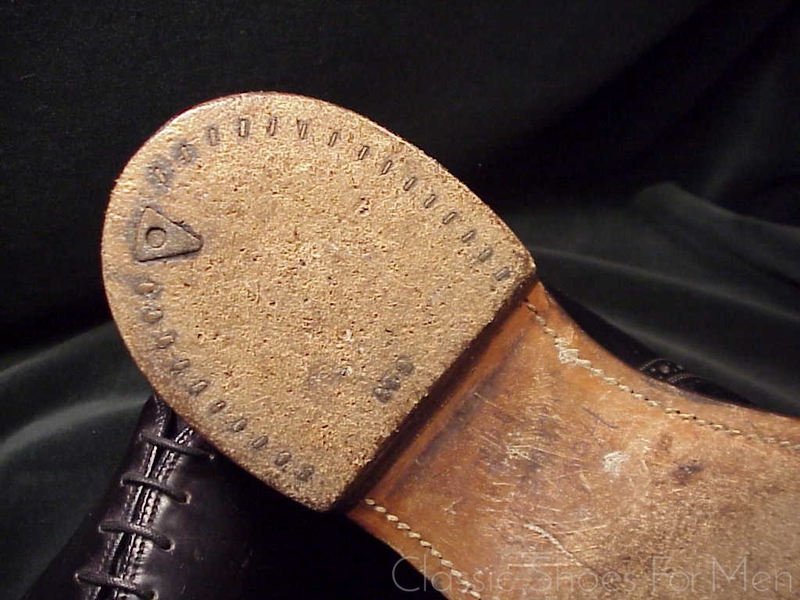 Orginal Sohle und Absatz sehr leicht getragen.